This is a blog for posting organization news, articles and other information. Almost three years ago, my wife woke me up crying and saying “I think you need to take me to the doctor.” I was very worried thinking we needed to call 911 when she followed it with “I am pregnant.” I don’t know if that made worry more or calm me down, but to this date, these have been some of the best news I have ever received. About a month later, I got more worrisome news, as my wife was bleeding slightly, but being pregnant for only a few weeks, this was very serious. We ended up spending an all night vigil at the ER, waiting for morning to get an ultrasound. Thankfully, our daughter was right there doing well – we got her first picture when she was 6 weeks old. She is now two years old and thriving and we thank God every day for blessing us with her presence in our lives. We all know family and friends that have had a miscarriage. After our scary night, I cannot even imagine what it feels to lose a child so early. Embedded in our souls we know that there is someone who we will miss. That every human life is a miracle and every child a gift from God. I ask all of you to celebrate life by participating in the Mass of Reparation on January 22 at 7pm, at St. Justin’s Church. All Collections will be donated to the St. Juan Diego Women Center in San Jose to support women struggling to choose life for their unborn children. Let’s also show our support for the Culture of Life attending the West Coast’s Walk for Life in San Francisco on Saturday, January 23, 11am. Finally, let’s ask Our Lady of Guadalupe, Patroness of the Unborn, and Mother of the Civilization of Love to intercede for us and help us put an end to abortion. A couple of weeks ago I was watching a documentary on PBS on Hitler. The human cost of World War II, not including the millions of Jews killed in the Holocaust, was estimated at 55 million dead: 25 million military and 30 million civilian. At the cost of 55 million lives, WW-II is considered one of the greatest tragedies in human history. However, in 37 years since the infamous decision of the U.S. Supreme Court that legalized abortion in this country, more than 55 million innocent human lives have been lost. This, in my opinion, is a much larger tragedy that begs for God’s Mercy. I ask all of you to participate in the celebration of the Mass of Reparation on the anniversary of Roe v. Wade, January 22 at 7pm, at St. Justin’s Church. All Collections will be donated to the St. Juan Diego Women Center in San Jose to support women struggling to choose life for their unborn children. Let’s also show our support for the Culture of Life attending the West Coast’s Walk for Life in San Francisco on Saturday, January 23, 11am. Finally, let’s ask Our Lady of Guadalupe, Patroness of the Unborn, and Mother of the Civilization of Love to intercede for us and help us put an end to legalized infanticide in our country and the whole world. Last month I shared a reflection on “Our Lady of Guadalupe, Mother of the Civilization of Love,” by Carl Anderson. This time I would like to share a personal anecdote of the power Our Lady’s intercession. About 12 years ago, I went on a trip to Mexico City on a pilgrimage to the Basilica of Our Lady of Guadalupe. There were 5 people signed up when suddenly Mike had to cancel the trip because he got gravely ill.
Mike, who was the picture of perfect health, had a liver problem that got aggravated, putting him on the transplant list – it was going to be months to a year, before his number was up. He was not going to be traveling any time soon. The rest of us decided to go ahead with the trip, and promised Mike to offer our prayers for his prompt recovery and health. Once we arrived at the Basilica, my roommate offered the Rosary for Mike’s kidney while we were standing in front of the Tilma. Thank God Our Lady could read the intentions in our hearts and disregarded our ignorance of anatomy. Two weeks after we got back, a tragic accident claimed the life of a 17-year old motorcyclist who happened to be a perfect match. Mike got his transplant – and a year later he joined us in our pilgrimage, this time in thanksgiving for a favor received. Since then, Mike got married to my former roommate’s sister (yes, the one who prayed for the wrong body part), and is now the proud father of two children. For some, this may sound like a coincidence – but we know better. I ask all of you to participate in the celebrations of December 12th, the feast day of Our Lady of Guadalupe, Patroness of the Americas and Mother of the Civilization of Love. I’ll leave you with the words of the Blessed Mexican Martyr’s: ¡Viva Cristo Rey y Viva la Virgen de Guadalupe! I would like to share with you some reflections on a book that I have been reading recently “Our Lady of Guadalupe, Mother of the Civilization of Love,” by Carl Anderson. This book is a fascinating read on the events that happened on December 1531 in what is Mexico City today, and how they relate to our modern world. At that time, Our Lady appeared to St. Juan Diego, and that miracle is still visible today on the tilma for everyone to see. Thank you Lord for Fr. Ritche, Fr. Edsil, Fr. Joe, and Fr. Tim. For their vocation of service to You and Your Church on Earth. Thanks for making them instruments by which we can experience your presence through their love, their actions, in the Sacraments, in the Holy Eucharist. Finally, we ask Our Lord Jesus Christ, through the intercession of the Blessed Virgin Mary, Our Lady of Guadalupe, Patroness of the Americas, and Mother of the Civilization of Love to bless our Priests, so that they may be good servants, loyal and steadfast in their calling to extend a community of love over their parishes. So that they may lead us to live the Gospel in service to those in need, fostering a Culture of Life, building a Civilization of Love. This month I would like to reflect on goals. During our last business meeting we had a spirited discussion on how we go about supporting our multiple activities. “Given constraints of time and money, there is only so much we can do,” some of us thought. “There are too many worthy causes, too much need out there; how can we possibly decide to which one we should devote our time and energy? Which cause is more worthy? Who is suffering the most? Who shall we serve first?” I wondered. This discussion made me think about how we can set goals that support the “core values” or guiding principles on which our Order stands: Charity, Unity, and Fraternity. One goal given to us this Columbian year is to increase our rolls by bringing in at least 7 new members. I would like to challenge everyone to beat this goal by the end of this calendar year. There will be First, Second, and Third Degree ceremonies during the month of October (see Calendar) so let’s take advantage of those opportunities to bring in new members. Finally, last month I reminded everyone that our Supreme Knight has called us to participate in the “Year for Priests" declared by Pope Benedict XVI. In order to show appreciation and to honor our Priest, past and present that have served us at St. Justin’s, I encourage everyone to participate in the dinner we are organizing on September 26th starting at 6:30pm at Saint Justin’s Parish Hall. Tickets are $10 each; a limited number of them will be available at the door. The other day I was watching with my family the 1938 movie “Boys Town.” This movie, where Spencer Tracy won an Oscar for his role as Fr. Flanagan, dramatized the efforts of an Irish-American Catholic priest who looked after hundreds of orphan boys in Nebraska. It portrayed Fr. Flanagan’s vision and belief in that “there is no such thing as a bad boy,” a radical statement that ran contrary to society’s attitudes toward youth at a time where many of them were considered irredeemable and disposable. Through, faith, hard work, and dedication, Fr. Flanagan nourished his vision into a Culture of Life and created a Community of Love for troubled youth, one that still stands today. In watching Tracy’s moving performance of a dedicated, visionary priest, I could not help but think about another priest ahead of his time: the Venerable Servant of God, Fr. Michael McGivney (www.fathermcgivney.org), founder of the Knights of Columbus. The son of Irish immigrants, Father McGivney was also a radical idealist. Known as Apostle to the Young and Defender of Christian Family Life, Fr. McGivney, saw strong families as the foundation of the Church and society at large. His vision was also to build a Community of Love, one that still stands today – 1.7 million members strong. Today, our Supreme Knight has called us to participate in the “Year for Priests" declared by Pope Benedict XVI. 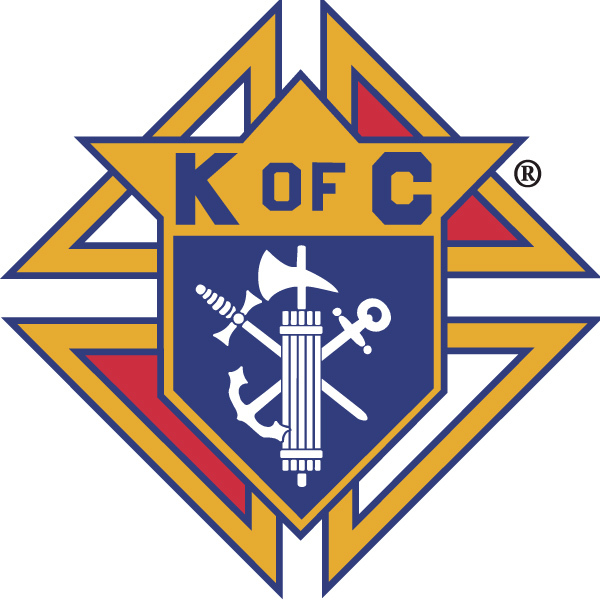 I encourage all members of our Council to act on that call, first by praying for our priests (www.kofc.org/yearforpriests), and second by volunteering and participating in the dinner that we are organizing in honor of our priests in September 2009. Let’s serve in Charity those who serve us. Let’s Unite with them in extending our community into a Civilization of Love. In my struggle to find words to start off this journey, a recent experience comes to mind. I have been reading A Civilization of Love, by our Supreme Knight Carl Anderson. In it, he clearly defines what is at the core of what the Knights of Columbus are about – creating a Civilization of Love by fostering a Culture of Life. This message became clear to me as I witnessed the efforts of an anonymous Brother Knight that gave generously to a perfect stranger. So things finally did get better, and with the help of Brother Knights, a bit less painful. My friend received greatly needed assistance: while he was bed-ridden unable to drive, a Brother Knight would take him to his medical appointments and look after his children. He also paid for both of his boys to attend Karate school, an activity much appreciated by them. Today my friend visited us with his three children – James 7, Sebastian 5, and baby Gemma 1, who survived 5 open heart surgeries during her first year of life. He lost all his material possessions, but his daughter is alive and thriving, and he is finally able to work and provide for his family. He is eternally grateful to someone for whom he was a perfect stranger, but is a good friend now. A Brother Knight, unknown to me to this date, for whom I am also eternally grateful, and whose selfless action makes me proud to be a member of this organization. This is what our mission is all about – to live the Gospel in service to families in need, fostering a Culture of Life, building a Civilization of Love.